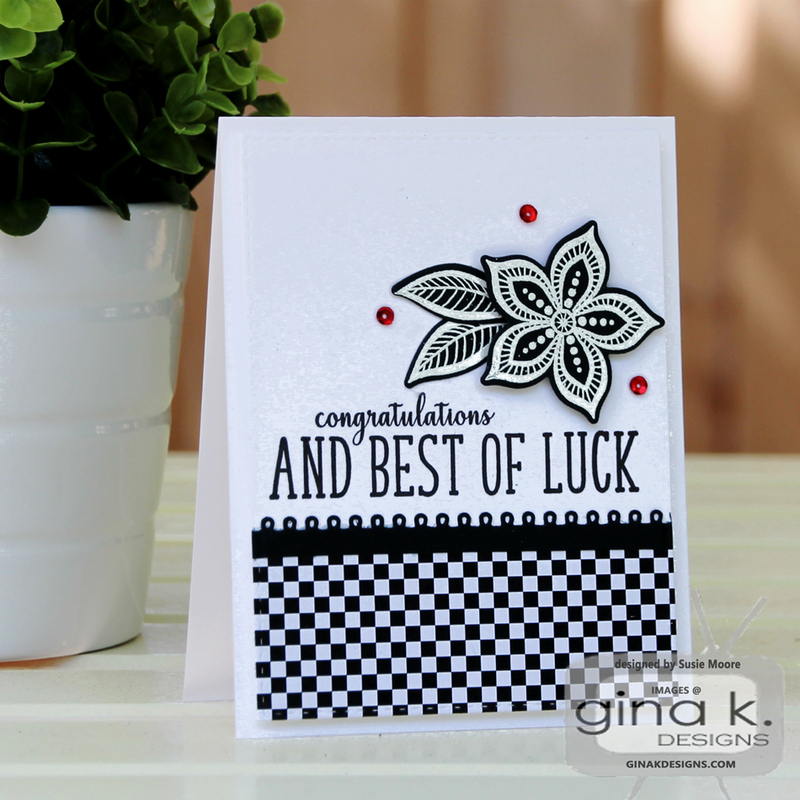 The Cast and Crew for Gina K. Designs welcomes you to day two of our blog hop celebrating our newest release. This month, we are showcasing the Boho Flowers mini kit and three other stamp sets by Gina. These sets are Wise Old Owl, Peony Wishes and the new incentive set which is called Grand Greetings. 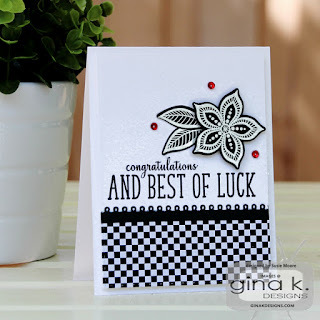 We hope to inspire you with some beautiful card projects as you hop along to each of the designer’s blogs today. the new incentive set, Grand Greetings. Have a fun day hopping through and I'll see you again tomorrow! Love the big honking yellow you design so much!! All are terrific but my favorite is your last one! Wonderful cards. My favorite is the owl card. Great cards, I can't pick a favorite. Thanks for sharing and inspiring us. Beautiful cards - I really like your designs. What a fabulous set of cards... each one will make someone's day! Treat for the eyes with such pretty creations! I really like the black and white combo! Thank you for sharing! Wonderful cards! Love your color combination for the owl card! Wonderful cards! I like the black and white owls with the bright you an d dots. Terrific cards and such fun to view them all. Your cards are fabulous! They are so elegant and I just love that owl design. Thanks so much for sharing! Your cards are wonderful. I especially love the Owl always be there for you using the large YOU. Thanks for sharing! Fun cards. I like that you used just touches of color on the first and third. Too cute owl card and love the blue peony card. Your cards are charming...love them! Lovely cards, especially love that last one! Thanks for the inspiration! Fabulous cards, Susie! I especially love your owl card! Super cards. Love the black and white card. Wonderful cards. Thanks for the inspiration. all of your cards are beautiful, love the black and white one! Cute and lovely card designs. I really like your "best of luck" card. Striking! Great job on your cards! I like the yellow and black for the adorable owl card. 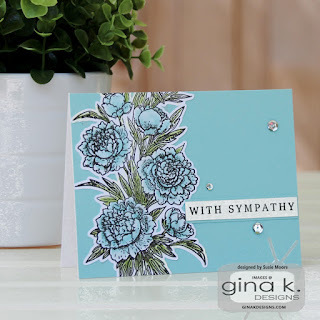 Beautiful work on the sympathy and luck cards! So pretty. Love the way the yellow you pops off the card! I love the combination of yellow and black on the owls card, very efficient ! !